The Magnet Battery Camera Has a 120° Degree viewable angle, its waterproof and has auto night vision. The camera is one of the very durable, with incredible adjustability and night vision clarity. This camera is also a wireless camera so there is no need to run cables through your Car or RV. It will not go quite as far as our other wireless cameras but will still work great up to 30ft and possibly 70ft like are others. The battery will last about 2 hours. This systems is for those who want a quick simple solution to hitching or seeing behind them and removing the camera. If you are looking for a system to use while driving down the road at all times we have those as well. 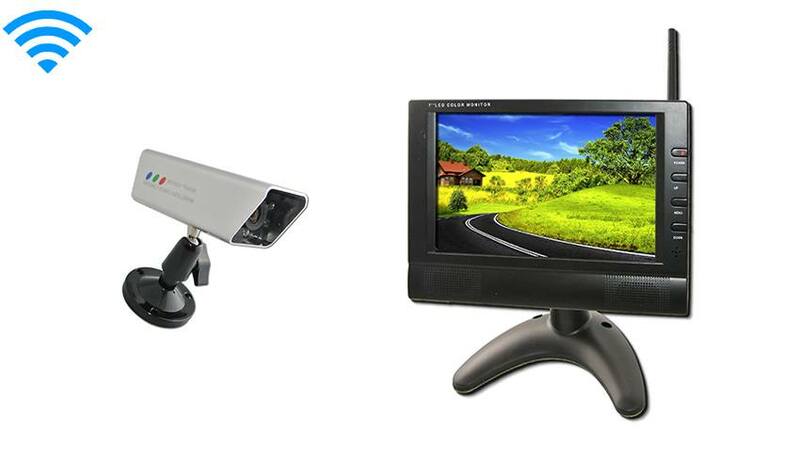 Please call us with questions on how this works or what monitor it works with, also keep in mind ALL our cameras can run on batteries and use magnets.